Marguerite H. Sullivan is a media and communications consultant and former senior director of the Center on International Media Assistance (CIMA), which she set up in 2006 and directed until 2013. She has worked as a journalist, public affairs and communications specialist, and an executive in government and international nongovernmental organizations. Sullivan is the author of the U.S. Department of State’s A Responsible Press Office in the Digital Age and A Responsible Press Office: An Insider’s Guide, which have been translated into numerous languages and won several awards. She has assessed and advised on systems of open communication and transparency and worked on capacity building through nearly 200 training engagements in more than 40 countries. 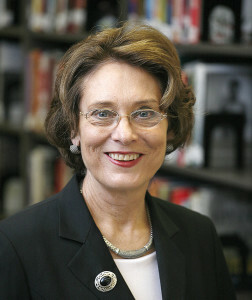 Sullivan has held several positions in the U.S. government, including at the White House, the Department of State, and the National Endowment for the Humanities, and she served as a cabinet member for a state governor. She was executive director of the U.S. National Commission for UNESCO and vice president for communications and external affairs for the International Republican Institute. Sullivan has a bachelor’s degree in history and a master’s degree in journalism from Stanford University. Richard Winfield Stephen Fuzesi, Jr.